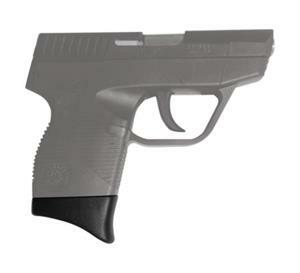 An extension for the Taurus TCP .380 ACP. This extension replaces the magazine floor plate providing extra gripping surface for better control and comfort without altering the capacity of the factory magazine. Extensions are packaged one per pack. NOTE: This extension only works with Taurus magazines made in Brazil with the metal internal locking plate.